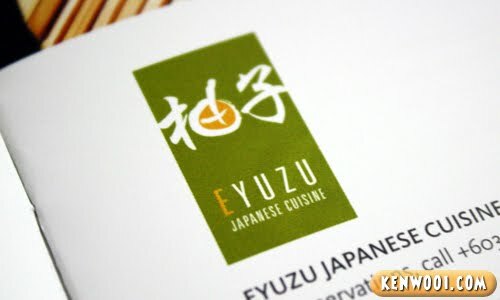 A couple of weeks ago, I had an opportunity to dine at Eastin Hotel’s very own Japanese restaurant, the Eyuzu Japanese Cuisine. 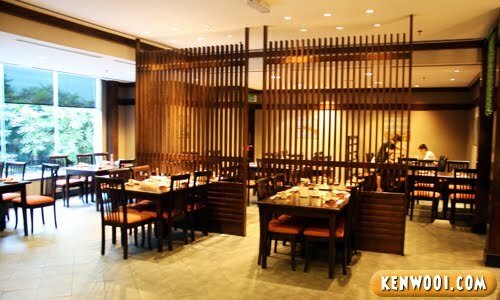 Within Eyuzu Japanese Cuisine, it has a sushi and teppanyaki counter, private dining rooms and an outdoor mini garden decorated with greenery that will draw the attention from its customers. Located at Level 2, it can accommodate more than 100 people at one go. It normally operates daily from 12 noon till 2.30pm and 6.30pm until 10.30 at night. However, the focus of this entry is definitely towards the Shumatsu Buffet, which is served during dinner on Saturdays and Sundays (and also Fridays during the promotion deal). Led by their award-winning chef, the Eyuzu Japanese Cuisine prepares a sumptuous buffet spread. Let’s have a look at some of the dishes, shall we? Right off the buffet spread, one thing worth complimenting is certainly the fresh Sashimi. 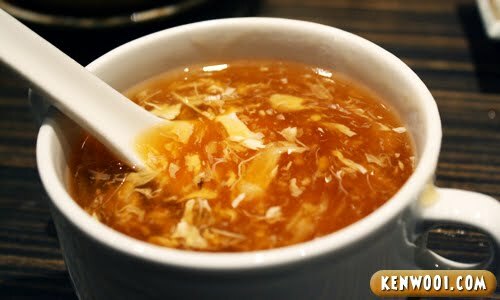 It consists of raw fish meat sliced into thin pieces. The portion of each slices are pretty generous actually. Just dip them into the shoyu sauce (no wasabi thank you!) and embrace its freshness in your mouth! In addition to the Sashimi spread, there is also a variety of fresh sushi rolls. 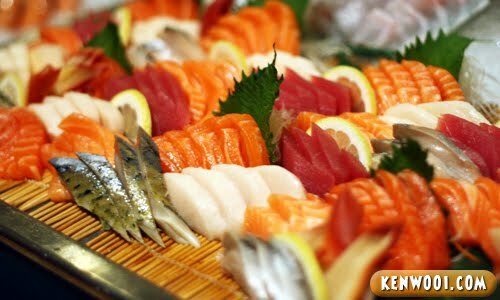 The never-ending preparation by the kitchen staff throughout the buffet session ensures that the sushi are fresh and at their best. Here at Eyuzu, quality is their main priority. 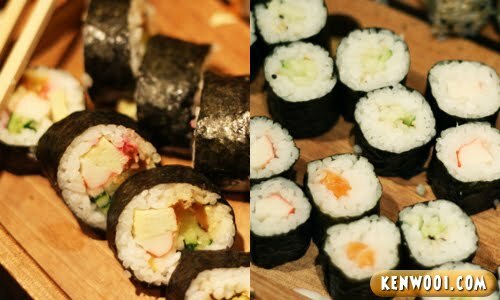 Several trays of Makimono (Assorted Sushi Rolls) are available too. Some as simple as a piece of crab meat, while others have a mixture of ingredients that would bring out the best of the flavours. Okay, besides the common Japanese Sashimi and sushi – there are other dishes to pick from as well. 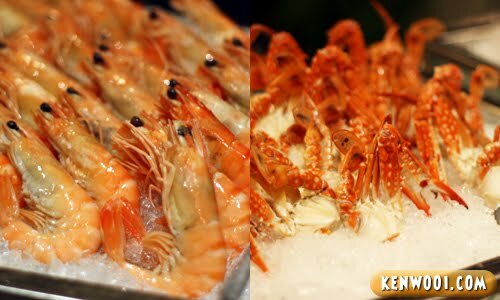 Abundance of prawns and crabs for the seafood lovers. 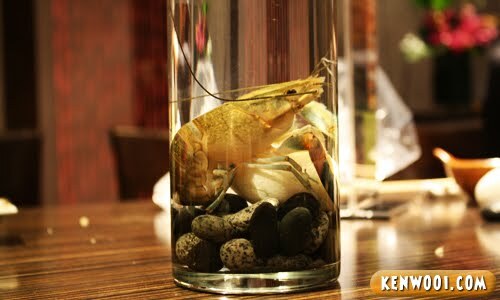 Fresh from the aquarium, they are skillfully prepared and come with the “fresh” tag on them. Although they could be a little “messy” to eat, it’ll be paid off every time you take a bite on their fresh tender meat. More favourites, the Kakiage (Deep Fried Assorted Juillene Vegetables) and Nigiri Sushi (Assorted Sushi with Raw Fish). 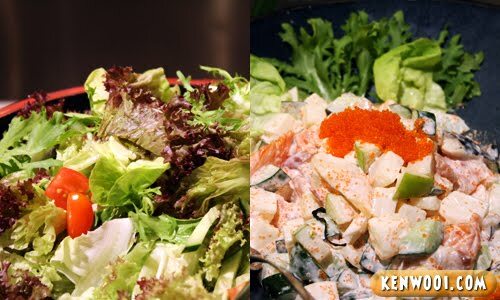 For the salad enthusiasts, there are salads such as Kaisen Salada (Seafood Salad) and Yasai Salada (Mixed Vegetables Salad) as well. More raw meat from another counter for customers to choose from the teppanyaki counter. After browsing through the buffet spread, I took the first plunge – that’s my first plate from the spread. Definitely many more plates but just couldn’t bothered taking any extra photos. Just eat all the way! Oh by the way, the keropok-looking stuff there is actually fried salmon skin. According to the chef, they are quite complicated to prepare because skills and precision are needed to slice the skin off perfectly. 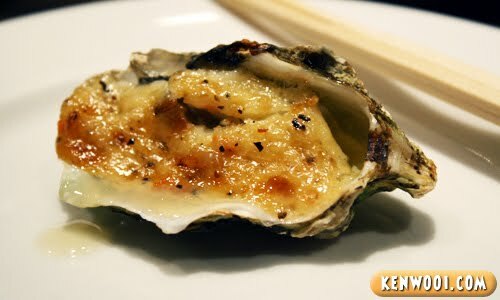 They have Baked Oyster too. Surely not as slimy as the freshly shackled ones. Be careful while you use the cutlery to dig it out, the “juice” might just squirt out. 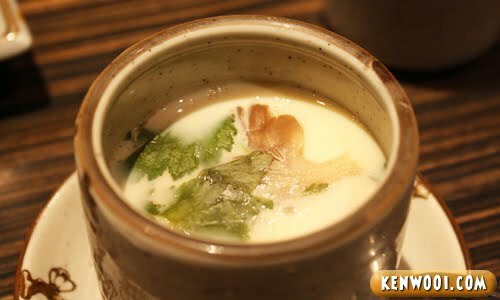 Here we have Eyuzu’s very own Chawan Mushi. Prepared with various ingredients, it’s smooth, delicate and has a unique aroma of its own -notably different from the usual at franchised Japanese outlets. For desserts, there are aplenty on a specially dedicated dessert table. There are a number of cakes, cheese tarts, fruits and puddings. There are desserts such as mochi balls in various colours and glutinous rice balls coated with sesame peanut mixture with black sesame inside. 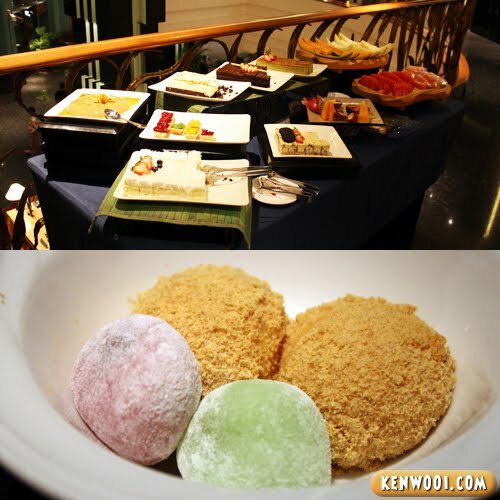 You should really try the glutinous rice balls – it’s delicious! 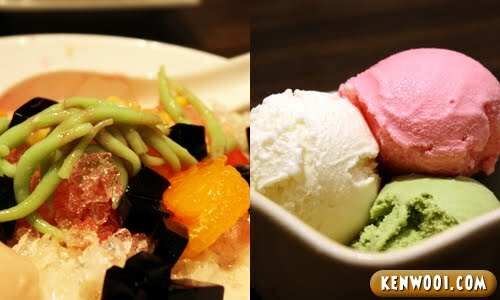 Prepare your own ais-kacang with your favourite toppings, or simply scoop out your favourite ice-cream flavours. They’re all self-service, you can just wallop anything you like. 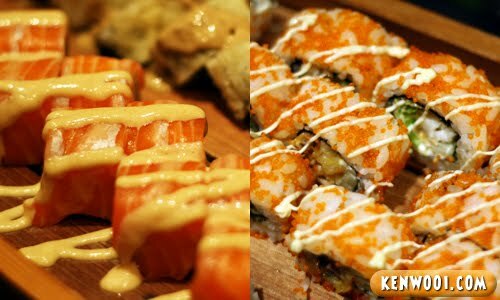 Well, the Japanese Buffet has more than 100 mouth-watering dishes to choose from. With the variety of food available, you will be spoilt for choice. In fact, there are too many that only a handful are featured here. 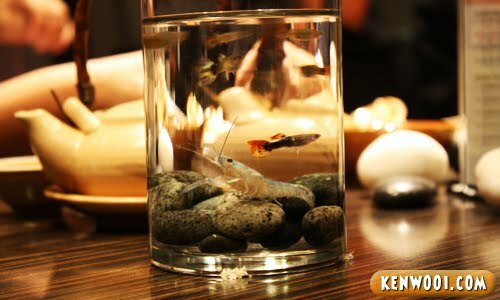 Know what, these Japanese delicacies are so fresh that if you want them fresher – you have to fish it yourself. Can consider eating it fresh, you know? Hehe.. 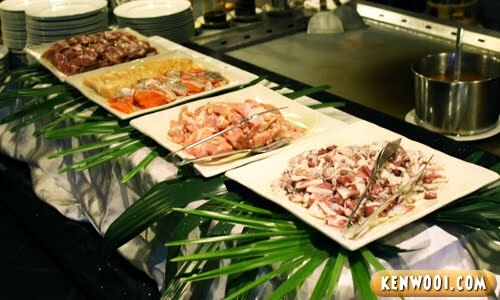 Anyway, normally the buffet is only available during dinner on Saturdays and Sundays at RM82+ (adult) and RM41+ (child). But coming soon, there would be a cheaper deal by everyday.com.my – keep checking that space! It’s not halal, but pork-free. Oh my god! It’s a sin to read this post in the middle of the night. You are bad, Ken. I am hungry now. 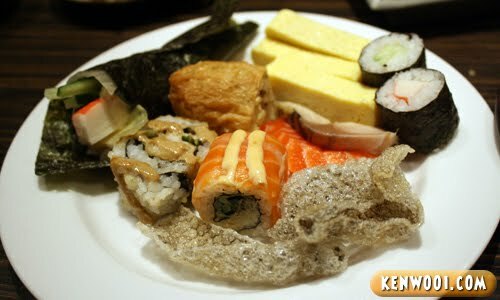 Wow, didn’t know that eastin hotel does offer japanese buffet. Will try it out some other time. Cheers! Many pictures for one blog but the sushi looks amazing. Live prawns are very very nice. Just dip in sambal and eat! Yummmmm!!!! 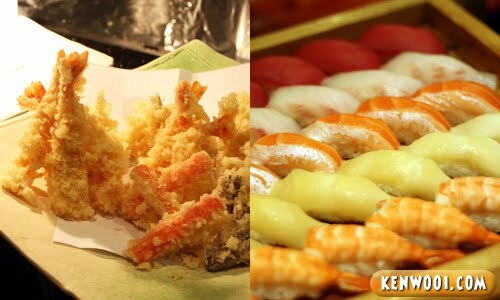 Food looks good… safe to eat Japanese already kah? Did they serve any Kajiki? It is hard to find Japanese restaurants that do :3 especially for buffets! looks nice. Will definitely keep this restaurant in mind the next time I have a craving for some Japanese cuisine. The spread is really worth a try. 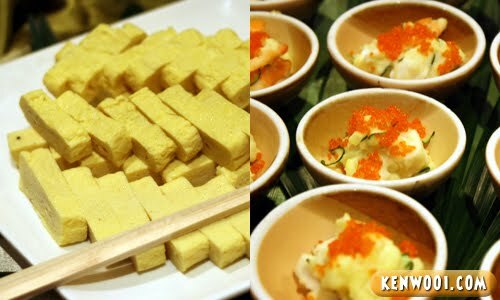 What i like about Japanese buffet is that some of the food are served in small portions which means you can try plenty. wah… wah… wah…when is the deal coming out? Hungry la weii!! goshh long time haven’t ate Japanese food d! Damn.. is it your photography skills or the food look really that good? Food looks awesome and 51% discount is a great deal. Thanks for sharing. u know i hate reading ur food entries. it always makes me feel like im in somalia.